Muddy says: If you want the goddamn coolest party then you need to know about these awesome, local party props people. They hire out everything from hay bales and cocktail bars to stunning 4ft light up letters. Don’t organise an event until you’ve checked them out! 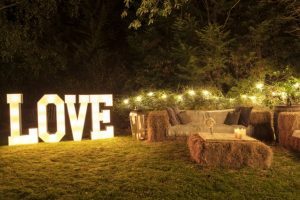 These awesome local party people hire out hay bales, festoon lights and party props throughout Kent, to help you set a picture perfect scene for your event. Need a bar? 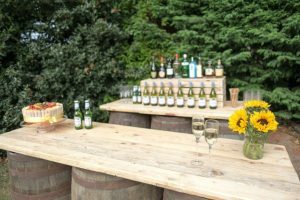 They have barrels and crates to construct your perfect cocktail bar, glasses, tin bath beer coolers, Kilner jar drink dispensers plus a whole host of other props to get the party in full swing. Chin-chin! Need to festoon your fete? Think metres and metres of decorative white lights to put the festive in your festival. 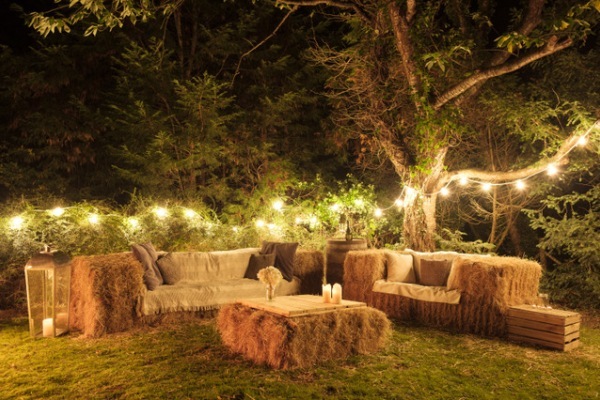 Paired with hay bale seats and beer barrel tables and you’ve got a fab fete. 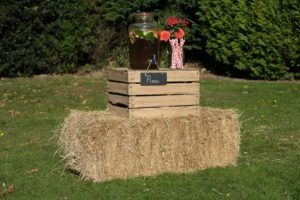 One of their most popular party props, hay bales are super strong, surprisingly comfortable and so easy and fast to set up. They make a stylishly rustic alternative to traditional seating options and provide a huge amount of flexible seating for large gatherings. Drape with cosy blankets and cushions and you’ll have every guest vying for top spot on the sofa! Wow your guests with beautiful 4ft tall light up letters which come with LED lights. They’re free standing and create a fabulous visual backdrop especially for your photos. Designed for indoor use, but can be used outside on a dry day. They’re also surprisingly light and easy to move should it start to rain! You can have any letter combination you like. The possibilities are endless. Seriously, don’t organise an event until you’ve checked these guys out!